I love the the idea of using over-sized artwork as a headboard! 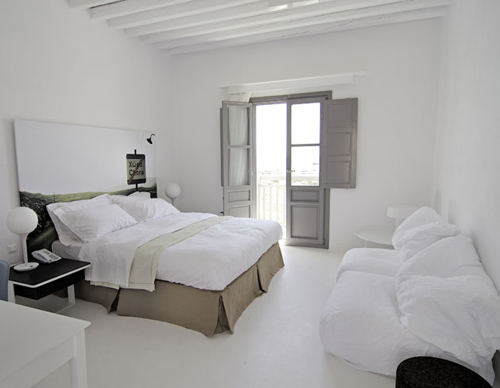 This is the Anemi Hotel in Greece, and their color choices are just gorgeous! That shade of gray is my absolute fave.